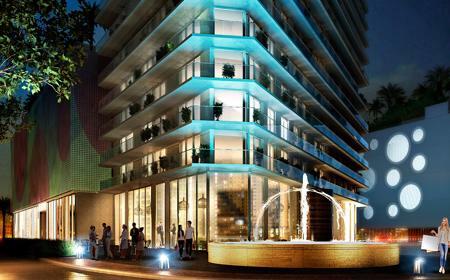 Nestled in the trendy Edgewater District of Miami, on Biscayne Bay, Related Group's exquisite residential community is coming to life with the release of the next phase of the Paraiso development - Paraiso Bayviews. 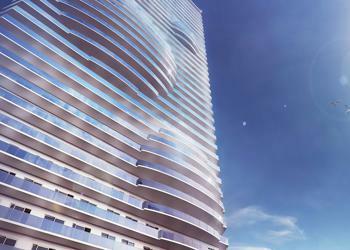 With chic, move-in ready residences and ultimately designed amenities, this high-rise is the epitome of contemporary living. Stunning views of Biscayne Bay and the surrounding areas add new meaning to Paradise, giving you the one and only Paraiso Bayviews. Experience a world of tranquility just minutes from the excitement of downtown Miami, Wynwood, the Design District, and Miami Beach, and enjoy pure pleasure at the premier Beach Club. Arquitectonica is a Miami-based architecture, interior design and planning firm led by Bernardo Fort-Brescia and Laurinda Spear. Working from multiple offices across North America, Latin America, Europe, Asia and the Middle East, the firm designs mixed-use developments, resorts, hotels, luxury condominiums, schools, universities and museums. The soaring contemporary architecture of Paraíso Bayviews is surrounded by endlessly spectacular cobalt blue vistas of Biscayne Bay and the Atlantic Ocean. Residences wrapped in sheer glass balconies dissolve all boundaries, capturing sunlight and inviting sweet sea breezes to become a part of your everyday life. 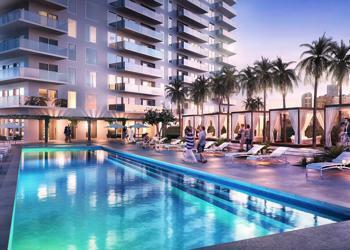 Founded in 1979 by Jorge M. Pérez, The Related Group is the nation’s leading developer of multi-family residences. Under his direction, as well as the leadership of Carlos Rosso, President of Condominium Development Division, The Related Group and its affiliates have redefined the South Florida landscape.